After being in the Triangle area for over 10 years, I will embarrassingly admit that I never explored the NC Museum of Art. About two years ago, I went on a brunch date at the sophisticated Iris restaurant which is located on the grounds of the museum. I remember the food and mimosas were amazing, but after the date, we went our separate ways and did not even consider exploring the sights of the NC Museum of Art. That would be my first and last visit until recently. One afternoon while sitting at work, I was thinking of things to do that evening. I searched Instagram and Google to see if anything would spark my interest. 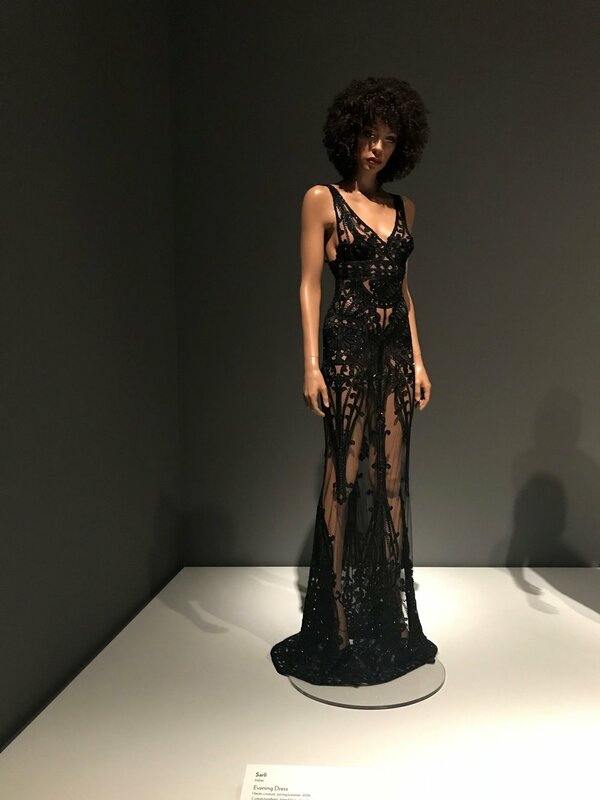 Then, I stumbled upon a posting from an art museum displaying Ebony fashions. 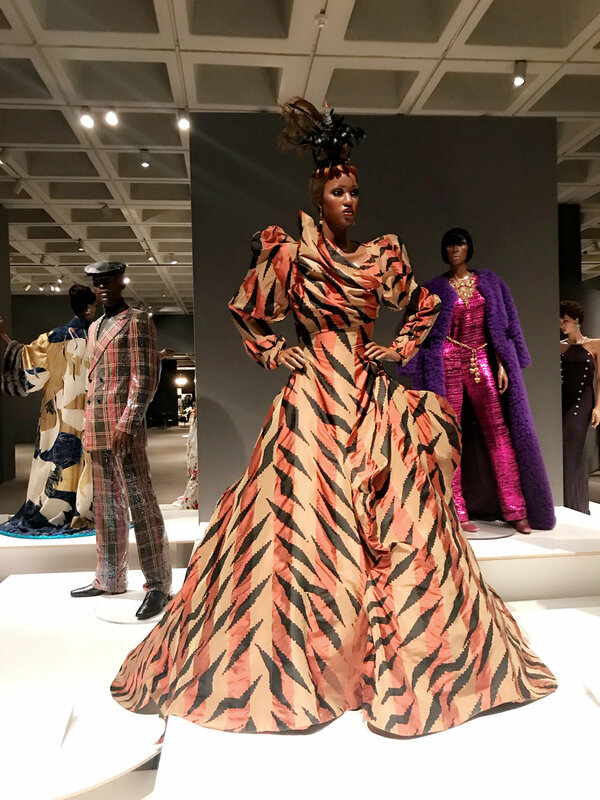 I dug deeper and realized that our local museum had an exhibit: Inspiring Beauty 50 Years of Ebony Fashion Fair. I was immediately intrigued, so I had to get there. I called up one of my good girlfriends, purchased tickets, braved that night’s 20-degree temps and explored Ebony fashion at its best! 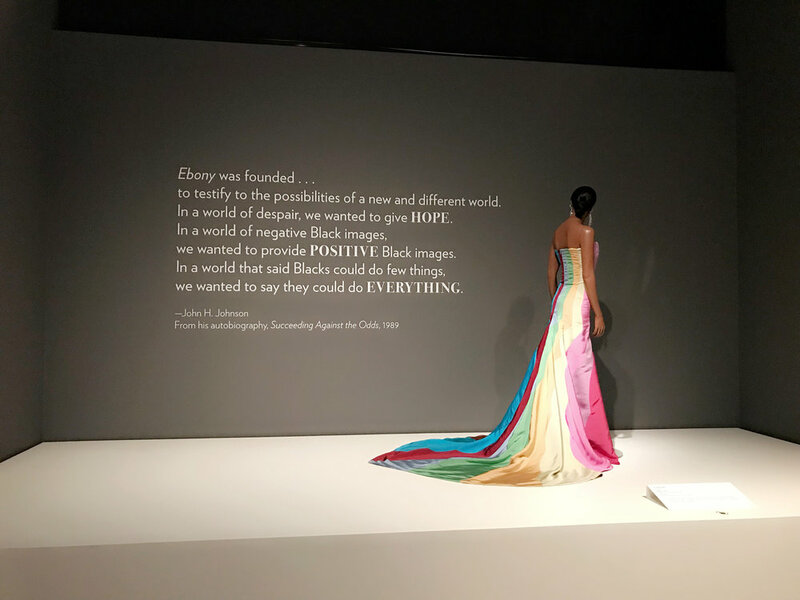 From a young girl, I've always understood my culture’s huge impact on fashion but, it was still exciting to see the names of top designers using the Ebony Fashion Fair show to display their creations. 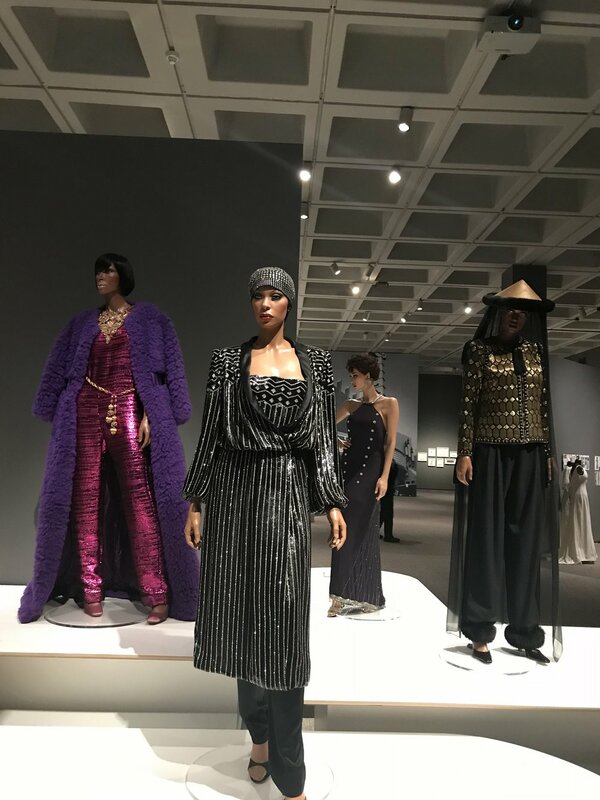 The best part of it all was reading the story of John and Eunice Walker Johnson and how they fought to become noticed in the high fashion world. Their story explains the importance of understanding your audience and knowing what they want to see. I could relate to this because I incorporate this same idea in my fulltime job on a daily basis. Surprisingly, none of my friends knew that this fashion exhibit existed in our backyard. I asked several museum workers if the exhibit had attracted a lot of interest and unfortunately, it had not. Working in the global PR/Advertising industry, I didn't understand why this wasn't marketed heavily in this area. This could have been a rewarding experience for all fashion lovers, young and old. 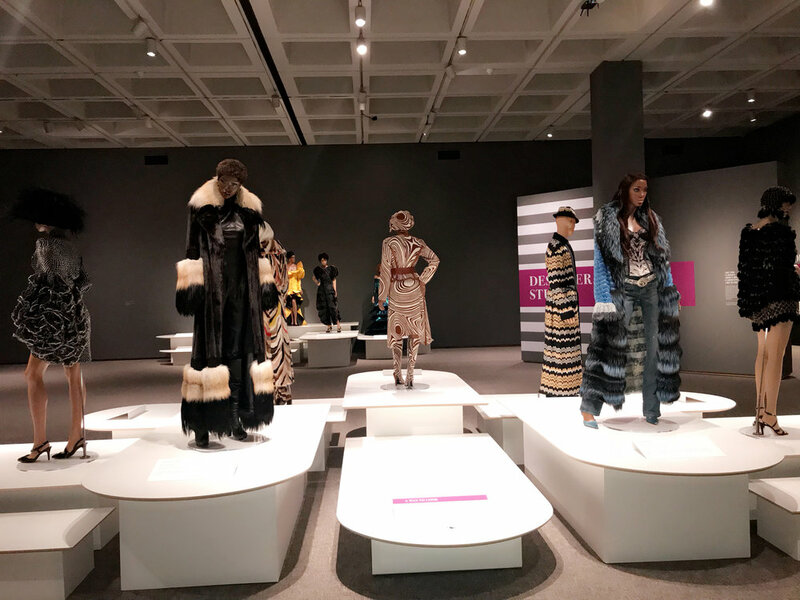 I am fortunate to have had the opportunity to see the exhibit firsthand and as a result, I felt inspired, proud and ready to conquer my goals in the world of fashion. 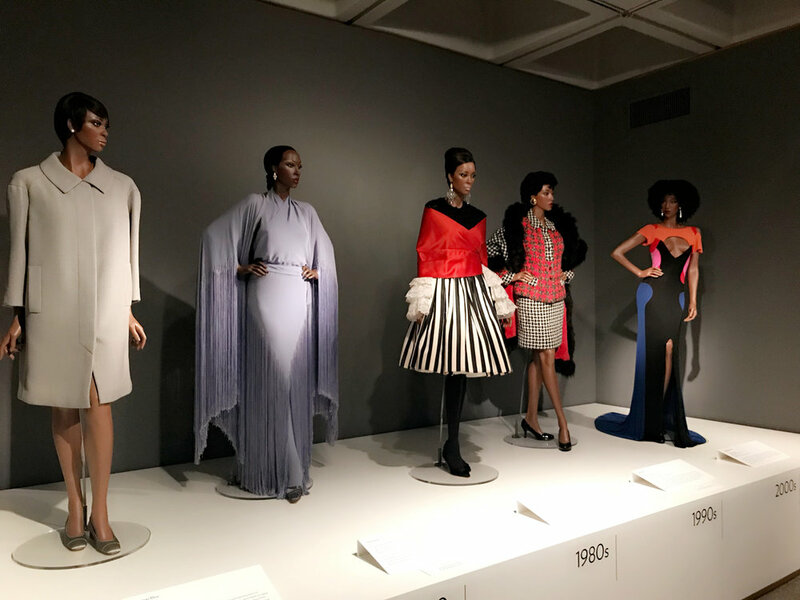 Check out a few highlights below from my tour of the exhibit.